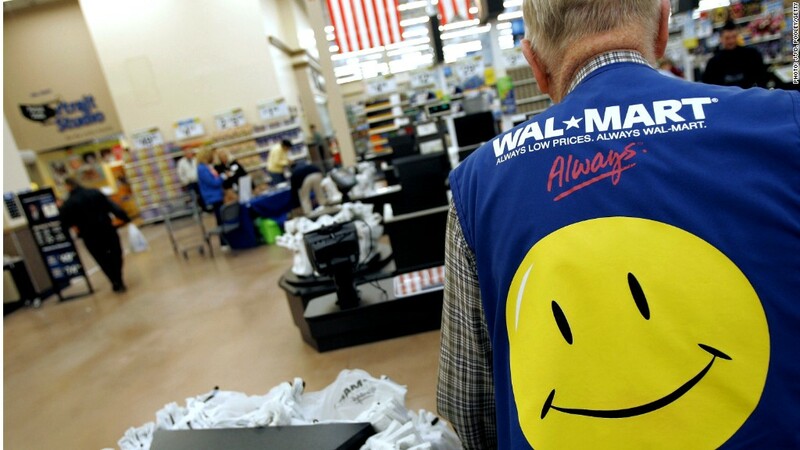 Wal-Mart is adding 10% more workers this holiday season than it did last year. Wal-Mart is upping its holiday hiring. The world's largest retailer said that it is bringing on 55,000 seasonal workers to handle the Christmas rush this year, up from 50,000 last year. With 4,033 locations across the country, that averages out to about 13 more workers per store. The 10% bump in Christmas-time hiring comes as Wal-Mart (WMT), and retailers across the board, have been hurting. Same-store sales at Wal-Mart fell in the first half of the year, and it has cut sales forecasts for the rest of the year. Spooked by these tough trends, some other stores are being more cautious. Target (TGT) announced last week that it plans to hire about 70,000 temporary workers this year, down from 88,000 a year ago. Kohl's (KSS) said it would bring on roughly the same number as last year. Wal-Mart spokesman Kory Lundberg said the company has opened 110 new stores between the end of January and August and plans to open "quite a few" more in October, which is partly why the number of seasonal hires is higher. Industry tracker ShopperTrak said last week that it expects retail sales to rise 2.4% in November and December compared to last year, despite a shorter peak-shopping season this year. There are only 25 days between Black Friday and Christmas this year, compared to 31 days in 2012. This means that there are four full weekends this year as opposed to five last year, and weekends are typically the time customers do the most shopping.